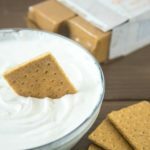 Take snack time to the next level with this Easy Greek Yogurt Dip Recipe for Crackers and Fruit that uses just 2 ingredients! This Easy Greek Yogurt Dip Recipe for Crackers and Fruit was sponsored by Randalls. If your kids are anything like mine all they want to do when they’re home is eat. More accurately, snack. At the beginning of summer, it usually takes me off guard by the number of snacks the girls go through in just one day. The sort of behavior that’s generally reserved for weekends and holidays during the rest of the year, is day after day in summer. I know I’m not alone here. I’ve talked to lots of my friends and they have the same issue. While I do try to close the kitchen so to speak within certain hours, kids are kids and still need and want a snack. In the past part of the problem has been not just grabbing a snack but the size of the snack…or lack thereof. Until recently I avoided by single-serving snacks to save money. What I didn’t realize is that without that my kids were eating far more than they should because there was no limit on the snack. A huge bag of chips that might list 12 servings, the two of them could devour in one sitting. What I’ve learned is those single serving snacks aren’t only helpful so an entire box of cookies don’t go missing after a day but they’re also super convenient and at Randalls, I can even afford to get them organic snacks. 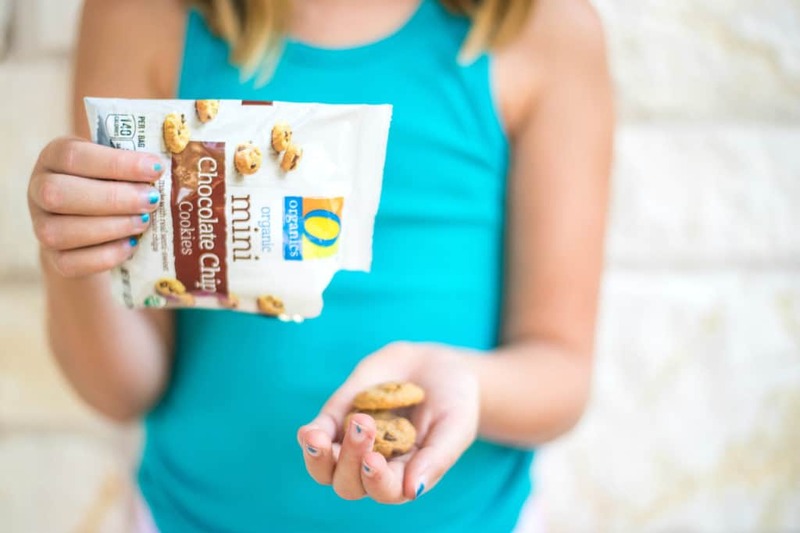 I can let the girls help with packing lunches or snacks for school by having them grab a bag of O Organics® Vanilla Animal Crackers, O Organics Chocolate Chip Cookies, or O Organics Cheddar Animals Lions, and throwing them in their lunchbox. Getting that head-start on prep the evening before saves us lots of frustration in the morning. It’s also nice at the end of the school day to have pre-portioned snacks ready so no matter what we’re doing, there’s always a convenient snack to grab and go. And they taste great, I’ve even been known to snack on them. 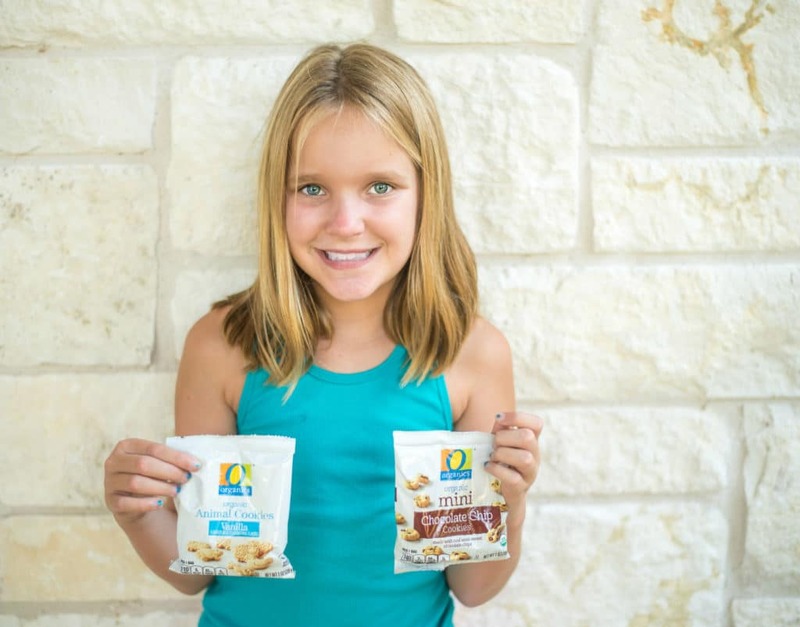 USDA certified organic O Organics snacks are available in my area exclusively at Randalls and Randalls believes great-tasting organic food should be available to everyone at a price they can actually afford. But sometimes we like to mix it up after school for snack time and make it a little fancy. Well, my kids think it’s fancy, what they don’t know if it’s super simple to make and is overall pretty healthy. On those days I make a super easy Greek yogurt dip for crackers or fruit! With only two ingredients (or an optional third), you can really make snack time special with limitless flavor combinations! 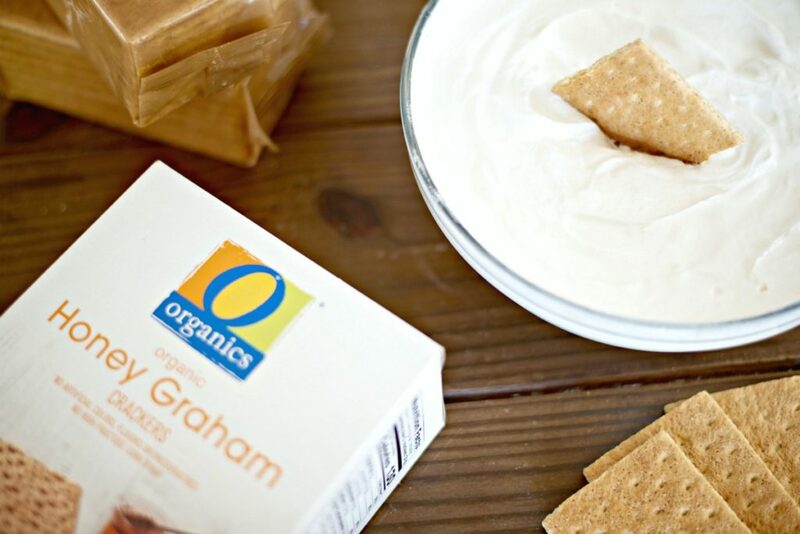 While I like to serve this sweet Greek yogurt at parties with O Organics Graham Crackers, when it’s just the girls at home, I also let them use the O Organics Vanilla Animal Crackers or O Organics Chocolate Chip Cookies instead! Mix both ingredients together until well blended. Serve with graham crackers or other cookies. 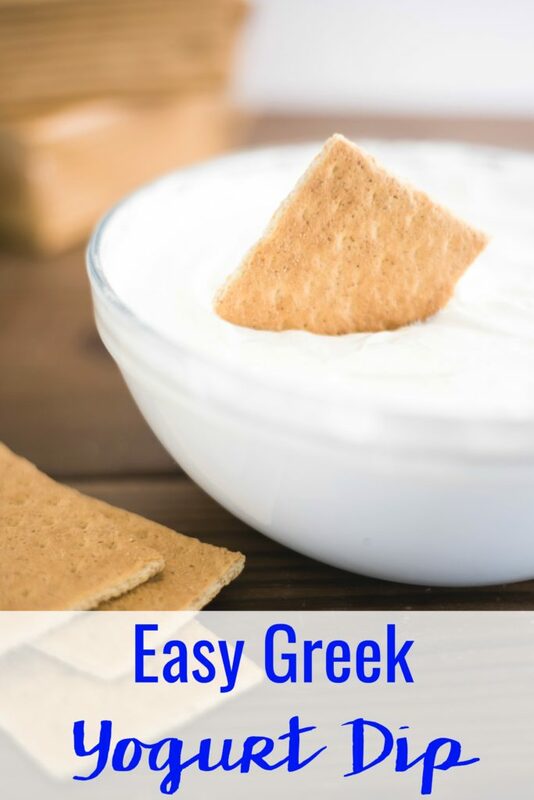 Just see how simple it is to make this easy Greek yogurt dip recipe for crackers! Grab everything you need for after-school snacks plus the ingredients for this easy Greek yogurt dip recipe for crackers or fruit at your local Randalls. I love shopping at my local Randalls store because no matter which way I turn out of my neighborhood there’s a store nearby where I can get in and out and on with my day. Don’t have a Randalls near you? 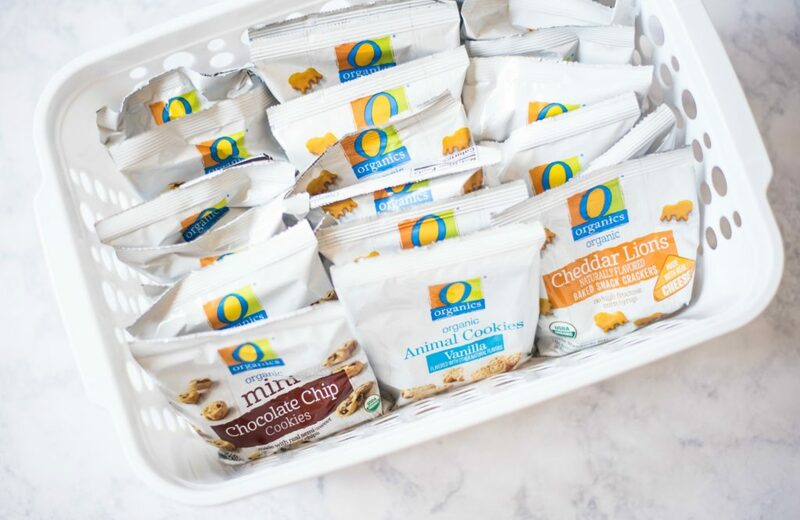 No problem, O Organics are available exclusively at all of the Albertsons Companies family of stores, including Albertsons, Tom Thumb, Safeway, ACME Markets, Jewel-Osco, Vons, Pavilions, Shaw’s, Star Market, and Carrs/Safeway.